The Royal Collection will hold exhibitions at Buckingham Palace, Windsor Castle, and the Palace of Holyroodhouse. And The National Portrait Gallery will stage The Queen: Art and Image, a touring exhibition of images of the Queen, while The Victoria and Albert Museum held an exhibition of portraits of The Queen by photographer Cecil Beaton that will tour around the UK. 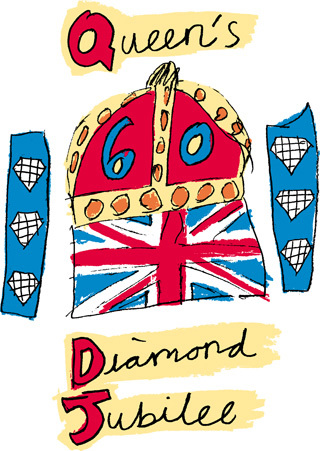 The whole UK is celebrating the Queen’s 60 year reign with the only diamond jubilee since that of Queen Victoria in 1897. 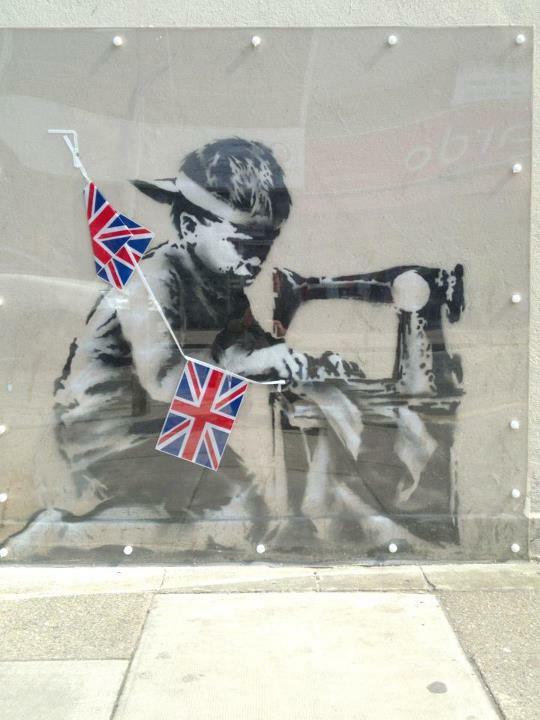 Meanwhile on the street, Banksy, too, is celebrating Her Majesty The Queen Elizabeth II’s Diamond Jubilee with a bit of art as well — tacked onto he front of a local pound shop in Woodgreen. Classing up the joint at 51 High Road in London, Poundland‘s facade now sports an image depicting the slave labor that goes into making the sort of cheap jubilee merchandise that sells in chains like theirs for a pound per item. 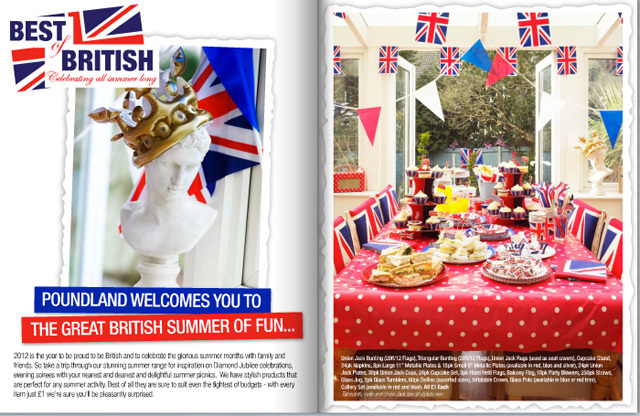 BritRail London is giving out an extra day on their Plus Pass, The President of the Maldives is invited to a Jubilee Luncheon, Kate Middleton is “super excited” and the Queen enjoys record support. But Prince Charles, despite playing DJ and learning “how to scratch and fade a record at an employment skills workshop in Toronto during his four-day trip to mark the Queen’s Diamond Jubilee,” is more unpopular than ever. The work, that hasn’t officially been acknowledged as a Banksy yet (since it hasn’t appeared on Banksy’s official websitem, though it is on his tumblelog), popped up on May 14 but it is already behind protective Plexiglas. For images of the work pre-Plexi visit The Daily Mail.